Recover the files after emptying Recycle Bin or deleted by mistake without data backup. 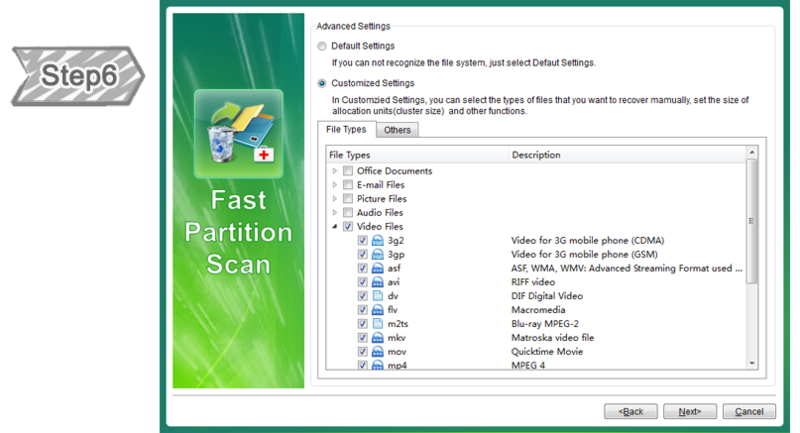 Scan the whole partition and list all files. Especially for the formatted partition or inaccessible issue. 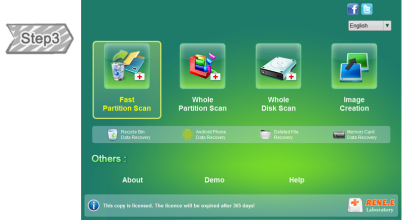 Scan entire disk to find out all partitions’ information & simulate the partition table. Clone a partition image which can be used in case that reading partition is slow or need a backup. 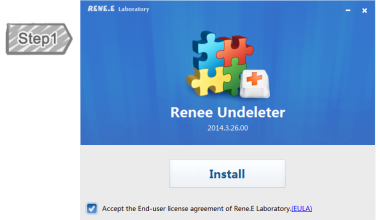 Renee Undeleter has helped thousands of businesses and home users recover files that are damaged or deleted, as well as retrieve data from formatted or corrupt volumes– even from initialized disks. Each scan mode brings you different result. 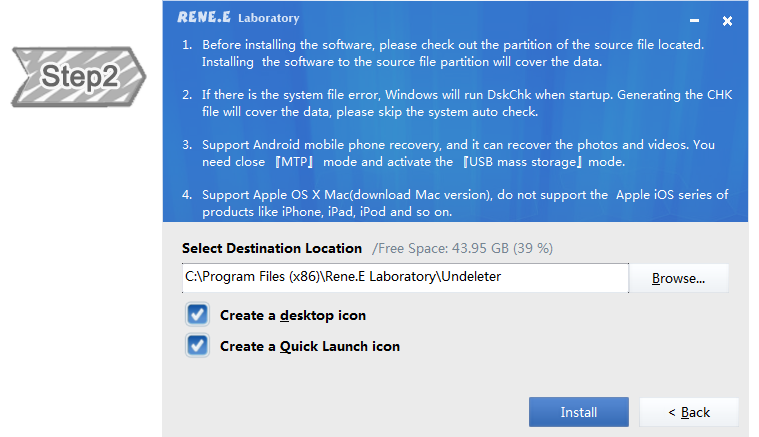 Your free download of Renee Undeleter provides scanning tools to search your devices for deleted files and inform you exactly which files are recoverable. Once you know what’s retrievable, simply register to continue with complete file recovery. Unregistered version can recover 20MB data for Free. 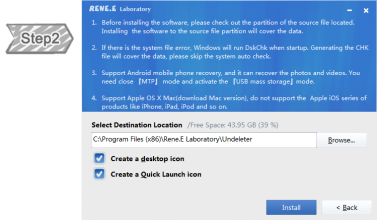 Do not install the software on the same drive where you lost data. User-friendly and easy-to-use,just a few steps for whole recovery process. Perfect for the newbie and professional alike. You can find all the data recovery solutions here. Select the drive you wish to scan. "Fast Scan" and "Deep Scan". 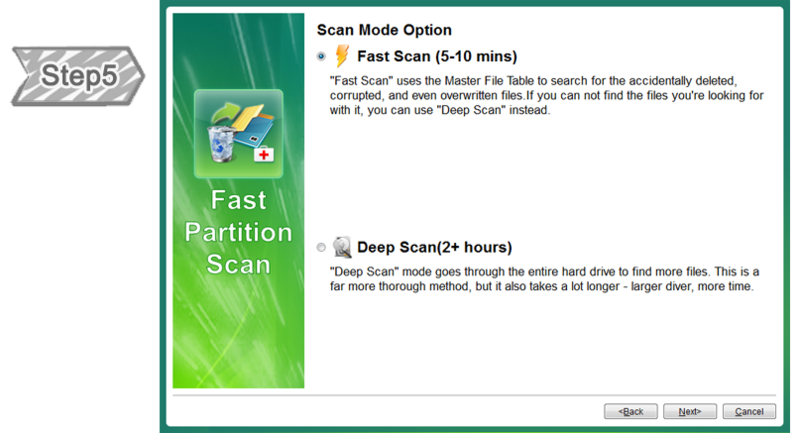 You may select "Fast Scan" to save time while "Deep Scan" can find older files. For beginner users Renee Undeleter has a simple wizard that helps you to locate the deleted files on your system by file types. You can back up your data preventing from disaster data lost. You can preview files while scanning. Experienced representatives are available to assist you through live chat or E-mail – any time of day or night. You can purchase Renee Undeleter via Credit Card, PayPal and Wire transfer. We also accept Bravo, Euro Card, JCB, Novus, Master Debit and Visa Debit. Please try to close anti-virus software. Some Anti-virus software will prevent reading disk directly. If you have connected some SD card or external drive, please try to disconnect them before recovering files. In addition, you can also connect the customer service and tell us the version of your Windows and whether you use RAID array in your PC. What to do when the program crashed while recovering files? Please close the anti-virus software and try again. Some anti-virus software may stop our software becuse it access disk in low level. You may select a folder which is not compatible with our software. 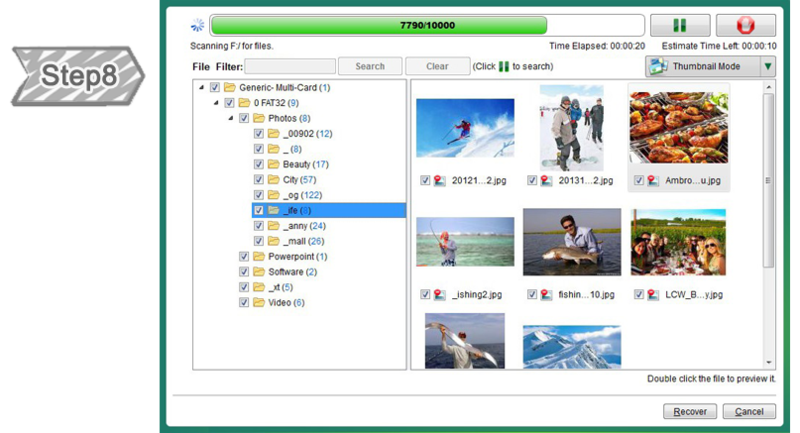 Such as network share folder. If you delete the content, save and close the file finally, you will not be able to recover the deleted content. Anyway, program always save a backup file in the same folder. After closing the file, the backup file will be deleted. Please try to use “Files Recovery” to scan your drive and search for the file which has the same name with your original file. For example, your original file is “abc.doc”. You could search for “~abc.doc” or “abc_1.doc” in the same directory. “I am so Happy !!!!!! I have recovered my lost files with the help of your software. 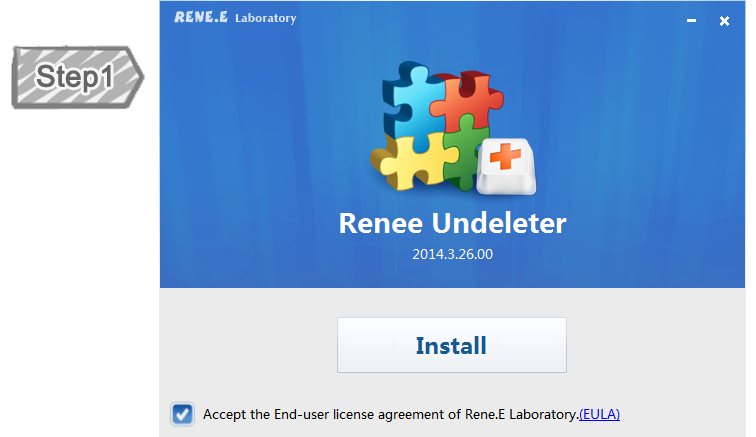 Before I found Renee Undeleter, I have tried more than 10 software but none of them could successfully recover one of my files at all. SO A BIG THANK YOU!" 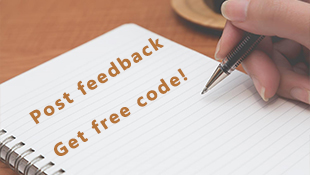 “Much appreciated - your software is about to do what I previously considered impossible - made me a hero in the eyes of my mother in law! It perfectly recovered the files that she value very much. It is really a magic software. Its ability really astonishes me deeply!" “I have been working on recovering deleted files for about 16 hours using four different software that are in the same prize range. I had absolutely no success. Your program did the trick! It is just perfect and very user friendly. It recovered everything I was looking for. Thanks for a product that did not over-promise its capability." “I am very pleased that I was able to recover all my wife's contacts, pictures, and videos when we thought they were lost 2 days ago. Great software! Did exactly what I wanted it to do. Hopefully I can get it all restored back as one now...thx."